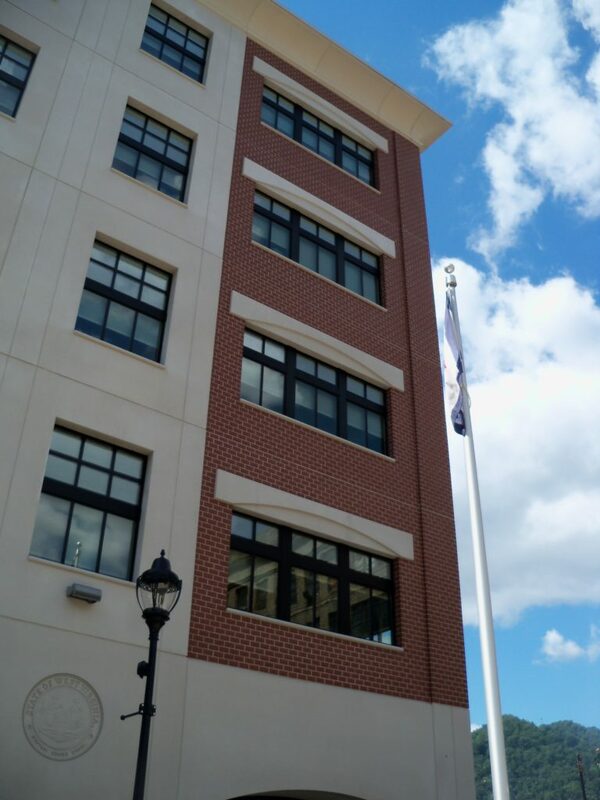 The West Virginia State Office Building in Logan, West Virginia had its Dedication Ceremony on Friday, August 16th. We are proud to be the Architects/Engineers/Interior Designers of this 5-story building. This facility is something the town has been wanting for many years. The location in the center of town makes it an imposing feature that is expected to change the direction of the town. It is hoped that a new building downtown will encourage others to renovate and revitalize the area. “… Sen. Joe Manchin was represented by Mike Browning, who read a greeting from Manchin.